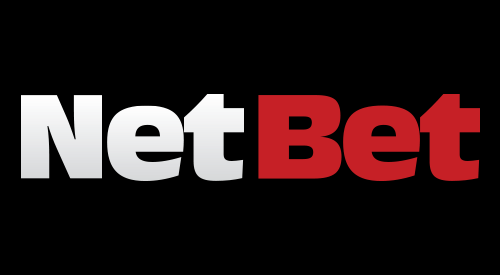 First established in 2001, NetBet (formerly branded Casino770) has been a major name in the European casino space since it gained its Malta operating licence in 2006. In the intervening years, the site has built a solid Live Casino offering that utilises the latest HD streaming technology to simulate the thrills and spills of bricks and mortar casino gaming. Powered by the software might of NetEnt and Evolution Gaming, NetBet's live dealer casino games (run on Flash) are among the highest quality in the industry, with a selection that includes standard offerings such as Live Roulette and Live Blackjack, as well as less commonly found options. NetBet's live dealer casino games are available in crisp HD quality, which might raise fears of lag and slow loading. However, provided you have a decent broadband connection, you should find that loading times are refreshingly fast. The other good news for players who prefer browser-based play over desktop downloads is that NetBet's live dealer games are available in instant-play mode, so you can simply navigate to the Live Dealers tab, click the game of your choice and join the action in seconds. Moreover, punters who like to play on the go can access a limited selection of NetBet's top live games via Android or iOS devices by visiting the HTML 5 (mobile-optimised) site on their smartphone, or by scanning the special QR code shown on the logged-in Account page. Regardless of whether you're a seasoned player or a novice, NetBet's live dealer games are highly intuitive – and one of the most impressive features of the overall user experience is the dealers themselves. After you've joined a game, the dealer will greet you personally and ensure you have everything you need to start betting with confidence. And because they have access to a selection of account data (nothing personal), including how many times you've played a certain game, the dealer can give you a personalised service aligned with your skill level. One point to note for those that like betting on the move is that there is a limited selection of games on the mobile site. Instead of the 15+ games available on the desktop site, mobile players will only have access to four live dealer games. NetBet's live dealer casino games fall into five main categories: Live Roulette, Automatic Roulette, Live Blackjack, Live Baccarat and 'More Games'. Within each category you'll find a selection of variants with betting limits starting from as little as £0.10. The 'More Games' section includes a live dealer variant of the lesser known Casino Hold'em game. In amongst the specific games variants, such as European/Vegas Blackjack, Extreme Baccarat and Immersive Roulette, you'll also notice VIP Live Dealer Games. If you're someone with a bigger bankroll than the average punter, you can join these games and play for higher stakes if you so desire. When it comes to in-game features, the dealer is by far the biggest asset at the table. However, in addition these trained professionals, NetBet Live Casino offers a range of features that allow click and bet in the most efficient way possible. As well as clearly labelled chips and betting areas, the quality of each video stream can be toggled to suit your connection. Moreover, each game offers a selection of betting aids, including bet guides for Blackjack and hot/cold numbers for Roulette. NetBet offers a variety of generous promotions, including the 'Double Your First Deposit' Welcome Bonus and the 'Game of the Week' offer. There are also regular seasonal deals and temporary cashback promotions, which can be used to boost your balance when joining the live tables. Like all world-class online casinos, NetBet is fully licensed and regulated by the top gambling authorities, including the UK Gambling Commission. To provide further peace of mind, NetBet offers 24/7 support via email, phone (+44 203 608 6024) and live chat. As you would expect, NetBet accepts all the major payment methods, including VISA, MasterCard, Skrill, Neteller, Paysafecard, and online bank transfer. Deposits are instant with no fee, while withdrawals are also largely free, taking 2-4 days for e-wallet withdrawals and 4-8 days for Visa/MasterCard withdrawals. Withdrawing via bank transfer incurs a nominal fee of £2 - £4. Overall, if you're looking for a high-quality live dealer casino experience, there are few places that can match up to NetBet Live Casino. Not only does the platform incorporate software from the top providers in the iGaming industry, but it also offers a user-friendly interface, streamlined navigation and a broader range of games and variants than you'll find elsewhere.